Wedding Day! 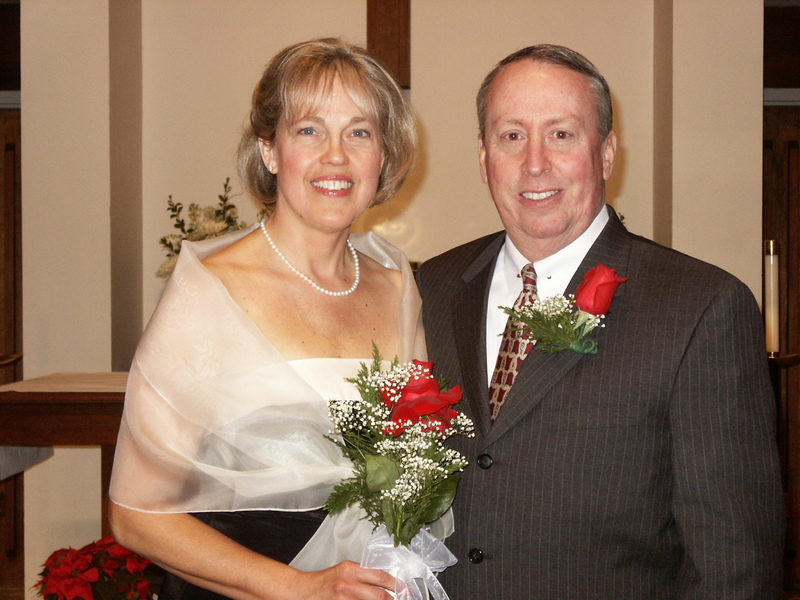 I couldn’t find a photo of Ruth and Boaz as bride and groom! So here is one of David and me, December 27, 2003. In just a few days, it will be 12 years! He is my “family redeemer,” and I thank God for him. 1 Boaz went to the town gate and took a seat there. 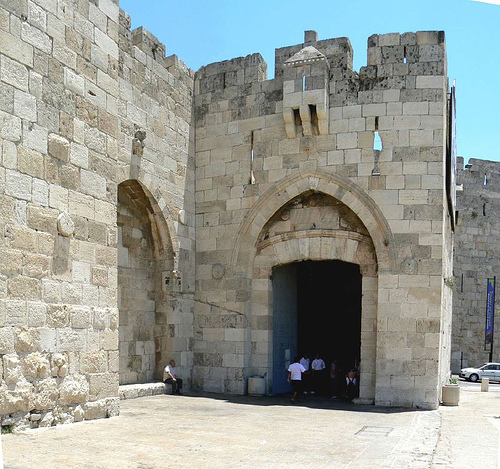 Jaffa Gate, part of the wall around the Old City of Jerusalem, was built around 1540 by Suleiman the Magnificent. 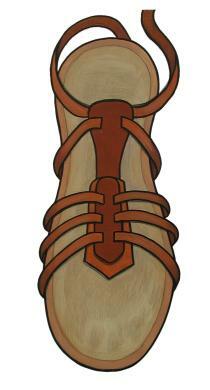 City gates served two functions in ancient times. First, they were protection. Gates controlled access to a walled city. They could shut out marauders and enemies and wild animals. Gates were often fortified with towers and secured with bars of iron. Second, city gates were the site of many societal, administrative, and business transactions. Much like the Greek agora or the Roman forum, the city gate was where important issues were discussed and negotiated. Deals were made and announcements proclaimed. Remember, too, that this is a pre-literate society. Even during the Roman Empire, scholars believe, no more than 10 percent of the people could read and/or write. So instead of written records, they had certain visual rituals, performed in front of a group of witnesses, to ratify agreements and put them into the communal memory. Years ago, after a drawn-out and draining divorce from a habitually unfaithful husband, I was, to use C. S. Lewis’ term, “surprised by joy” when a wonderful man named David found me. I had his 10th grade son in my English class; his wife died of cancer the third week of school. As the months passed by and love grew, we realized that we wanted to serve God together and grow old together. Once when I was telling this story to a friend of a friend, she played me this song and I have loved it ever since! Thank you, Rachel! 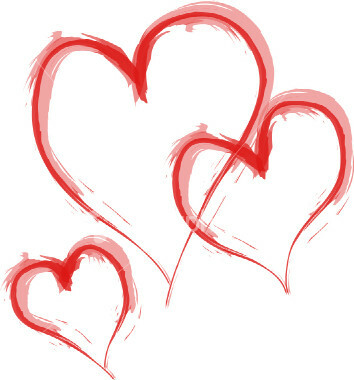 I love you, David! HERE Selah sings “God Bless the Broken Road (That Led Me Straight to You).” I post this song for Ruth and Boaz and all the ones who have found love in circuitous and sometimes difficult ways! Hear it as a musical version of Romans 8:28 — that God works ALL THINGS together for good for those who love him, and Lord, you know we love you! 13 So Boaz took Ruth into his home, and she became his wife. 16 Naomi took the baby and cuddled him to her breast. And she cared for him as if he were her own. 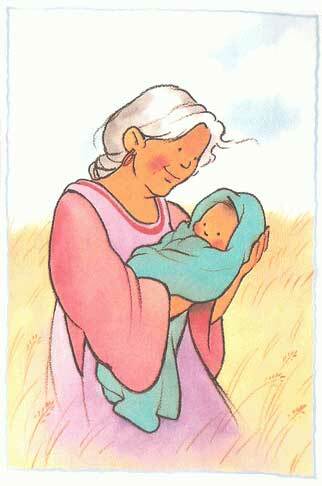 17 The neighbor women said, “Now at last Naomi has a son again!” And they named him Obed (which means “worship”). He became the father of Jesse and the grandfather of David. 19 Hezron was the father of Ram. Ram was the father of Amminadab. 20 Amminadab was the father of Nahshon. 21 Salmon was the father of Boaz. 22 Obed was the father of Jesse. Jesse was the father of David. And if we continue the same family tree down further generations, as the Gospel of Matthew does in chapter 1, we will find that Boaz and Ruth and David are all in the family tree of another little boy born in Bethlehem — Jesus Christ. 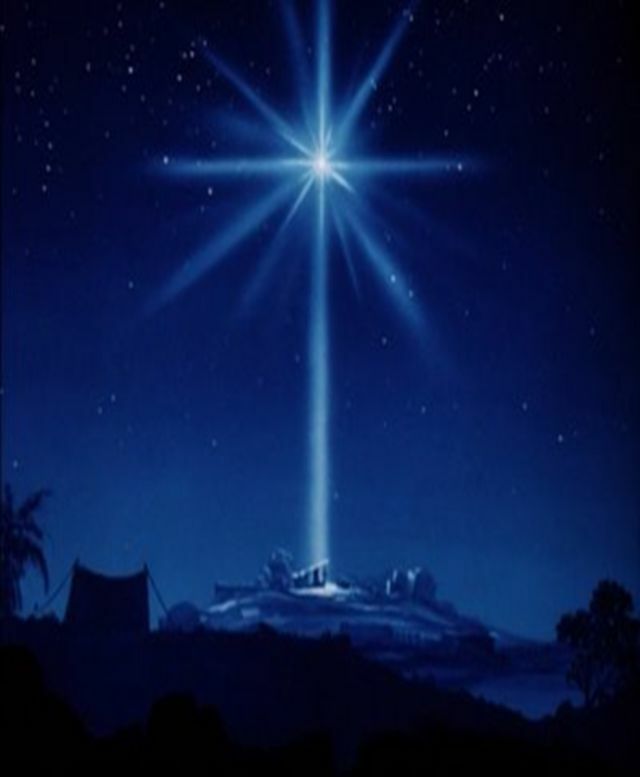 For Obed and David and especially for Jesus — “O Little Town of Bethlehem,” HERE by Sarah McLachlan. 1 One day Naomi said to Ruth, “My daughter, it’s time that I found a permanent home for you, so that you will be provided for. 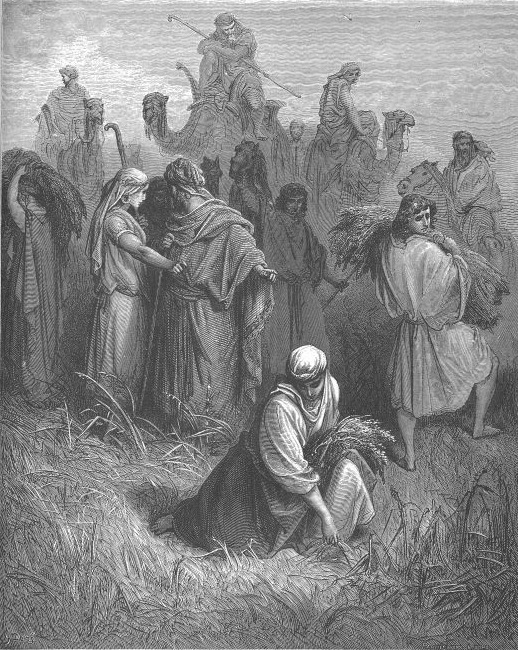 2 Boaz is a close relative of ours, and he’s been very kind by letting you gather grain with his young women. Tonight he will be winnowing barley at the threshing floor. 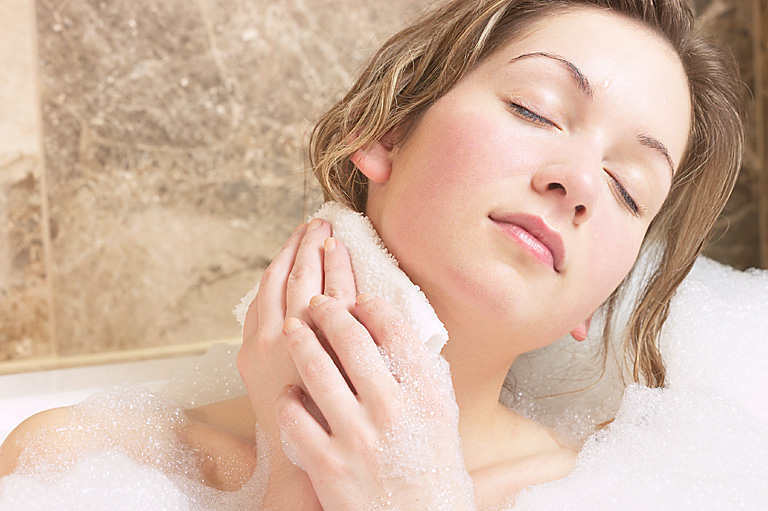 3 Now do as I tell you—take a bath and put on perfume and dress in your nicest clothes. 5 “I will do everything you say,” Ruth replied. 6 So she went down to the threshing floor that night and followed the instructions of her mother-in-law. Several ancient threshing floors have been excavated in Israel. They are circular, level floors of laid stone, often on a hilltop. Men would take the bundles, or sheaves, of grain to this floor. There they would beat the heads of the grain to loosen the covering husk. Then they would separate the chaff from the grain by forking the grain up into the breeze and letting the wind blow the chaff away. 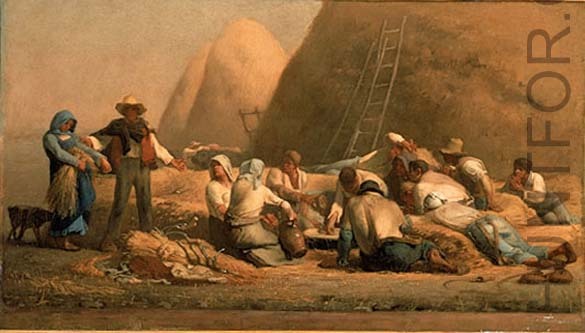 The heavier grains would fall in a pile at their feet. This work was usually done in the evening, when the breeze picked up. The men would stay the night, sleeping besides their heap of grain to guard it. They would move it to their storage barn the next day. 7 After Boaz had finished eating and drinking and was in good spirits, he lay down at the far end of the pile of grain and went to sleep. Then Ruth came quietly, uncovered his feet, and lay down. 8 Around midnight Boaz suddenly woke up and turned over. He was surprised to find a woman lying at his feet! 9 “Who are you?” he asked. An old Ira Sankey song — “Under His Wings,” sung HERE by another old gospel artist, Slim Whitman. 10 “The Lord bless you, my daughter!” Boaz exclaimed. “You are showing even more family loyalty now than you did before, for you have not gone after a younger man, whether rich or poor. 11 Now don’t worry about a thing, my daughter. I will do what is necessary, for everyone in town knows you are a virtuous woman. Or to translate the Hebrew literally, “a woman of strength.” Ruth is a good match for Boaz, who is himself “a mighty man of strength” (as he was introduced to us in Ruth 2:1). For centuries, rubies came from Myanmar (Burma). 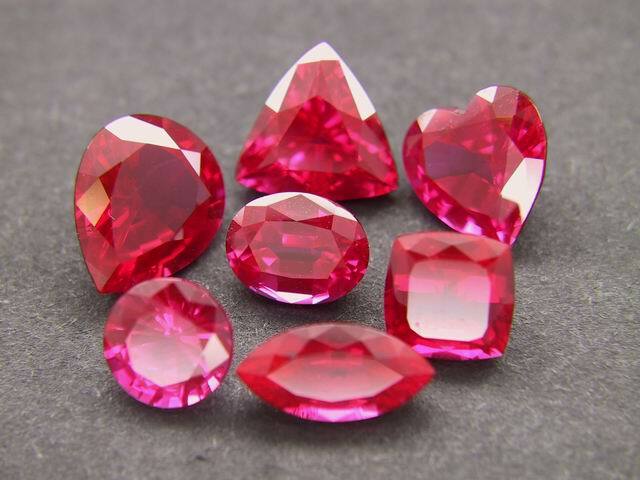 But due to governmental unrest there, now 70% of the world’s rubies come from Thailand. 14 So Ruth lay at Boaz’s feet until the morning, but she got up before it was light enough for people to recognize each other. 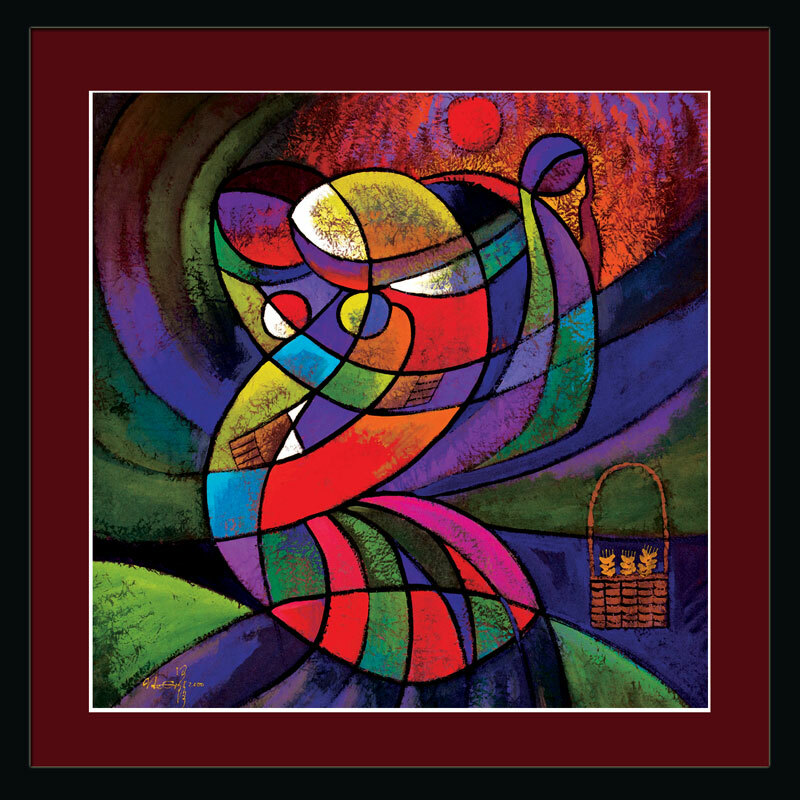 For Boaz had said, “No one must know that a woman was here at the threshing floor.” 15 Then Boaz said to her, “Bring your cloak and spread it out.” He measured six scoops of barley into the cloak and placed it on her back. Then he returned to the town. for he shares his food with the poor. The Holy Spirit gives us strength when we release all our needs into God’s hands and trust in his might. Ruth is an example of this kind of trust. 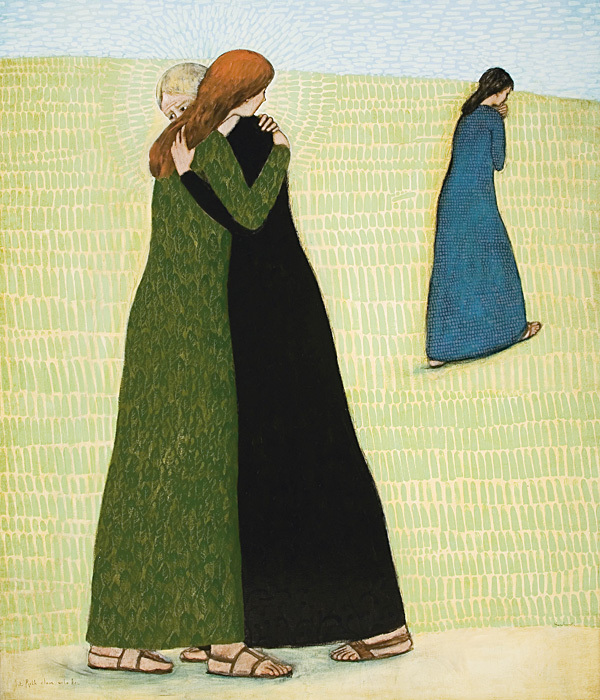 After her husband died, Ruth lived with her mother-in-law, Naomi. 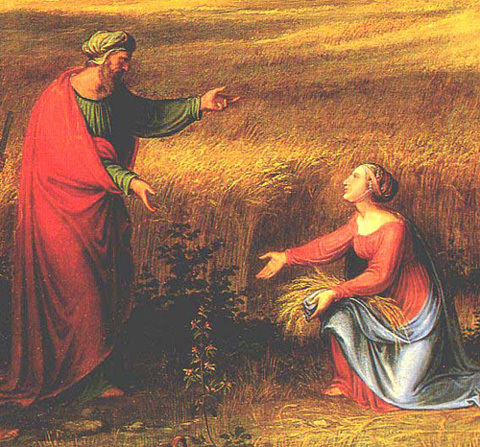 Naomi was concerned about Ruth’s welfare and future. So she advised Ruth to lie down at the feet of the wealthy Boaz and ask him to fulfill his obligation to her as her kinsman. A calm and peace settled over Naomi’s house. Nobody was in a frenzy, biting fingernails and wondering, “Will God do it? When will it happen?” These two faithful women could relax, sing and praise the Lord for His goodness. Have you prayed? Have you trusted? Are you ready to sit still and “see the salvation of the Lord”? He has everything under control. 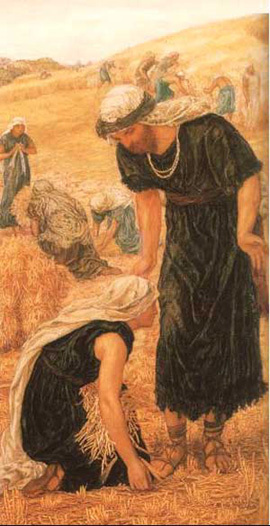 “Ruth and Boaz” by Dore, 1870. 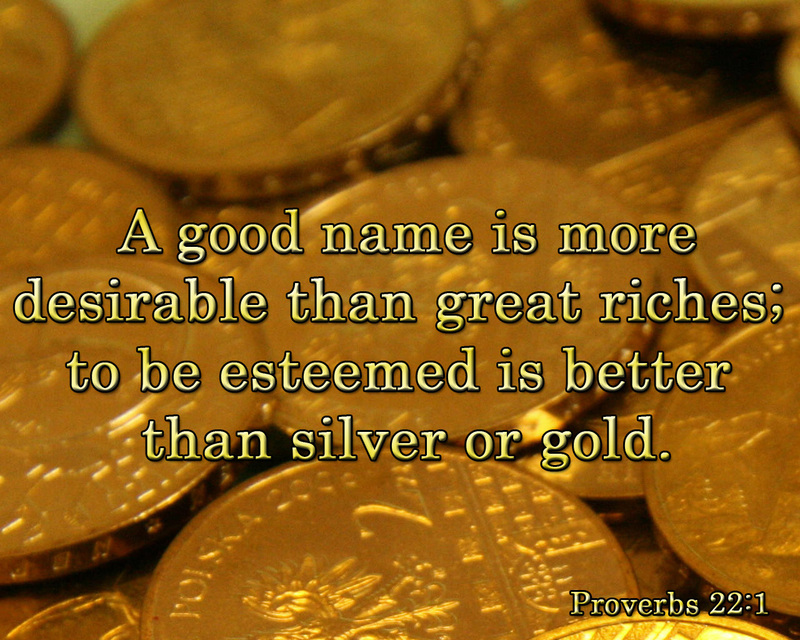 1 Now there was a wealthy and influential man in Bethlehem named Boaz, who was a relative of Naomi’s husband, Elimelech. He is “a prominent rich man,” or more literally, “a mighty man of strength,” a phrase more often used of warriors than of landholders. Naomi replied, “All right, my daughter, go ahead.” 3 So Ruth went out to gather grain behind the harvesters. Barley is a versatile cereal grain, used for animal fodder, certain alcoholic beverages, and foods like soups and breads. 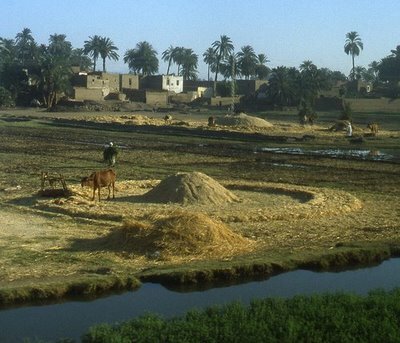 Some scholars believe that barley was the first domesticated grain in the Near East. Cheaper than wheat, it was often mixed with wheat to make a flour that people would use in “barley bread,” which was a staple of the poor. 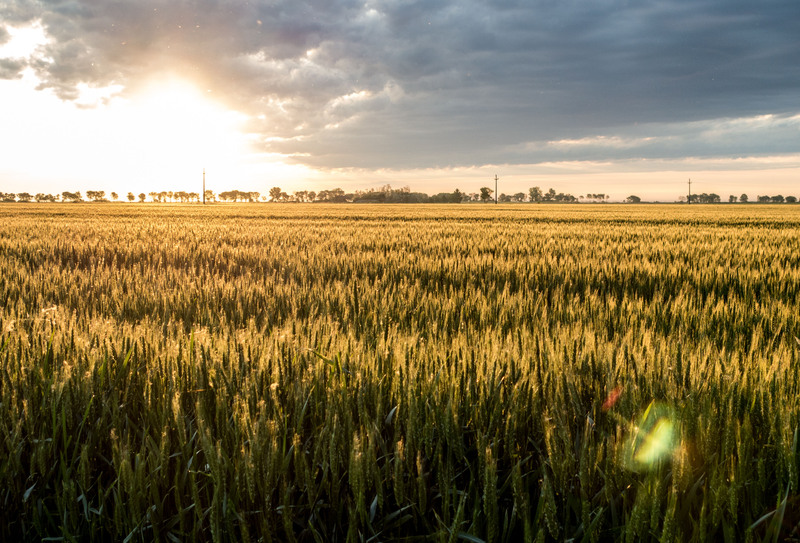 Now barley is the fourth-largest cereal crop in the world, grown in about 100 countries world-wide. It is a good source of fiber, phosphorus, copper, and manganese. Today would be a good day for some beef and barley soup and a nod to Ruth! And as it happened, she found herself working in a field that belonged to Boaz, the relative of her father-in-law, Elimelech. 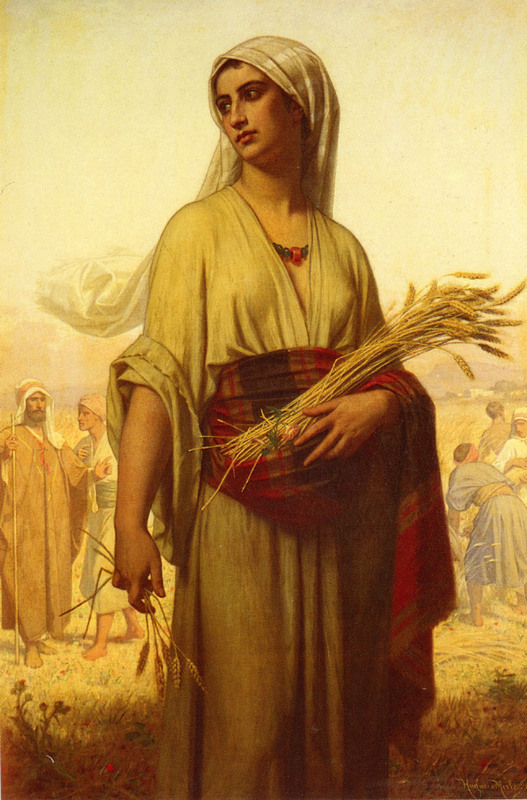 “Ruth in the fields” by Hughes Merle, 1876. Thy simple story moveth like a power. Our dead lives bud and blossom into flower. And God Himself smiles on their godlike beauty. he who refreshes others will himself be refreshed. “Ruth meets Boaz” by Thomas Matthews Rooke (1842-1942), Tate Gallery, London. In humility consider others better than yourselves. This is a mistranslation of course. 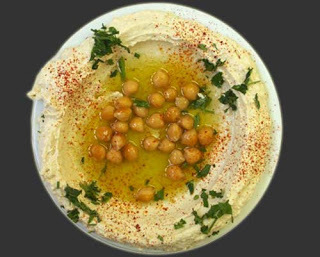 The original word in ancient Hebrew is “Hometz.” Which not only sounds a bit like “Hummus,” but also resembles the word “Himtza,” the Hebrew name of chick-peas. So she sat with his harvesters, and Boaz gave her some roasted grain to eat. She ate all she wanted and still had some left over. Oh, Boaz, you have come across a prize! And “once you have found her, never let her go.” From South Pacific, “Some Enchanted Evening.” This classic song is sung HERE by Sir Thomas Allen, with the Philharmonia Orchestra. 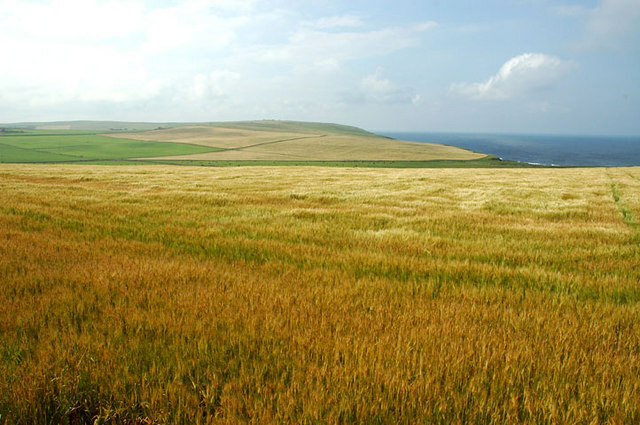 17 So Ruth gathered barley there all day, and when she beat out the grain that evening, it filled an entire basket. So she gleaned in the field until evening. Let me learn from Ruth, the gleaner. As she went out to gather the ears of corn, so must I go forth into the fields of prayer, meditation, the ordinances, and hearing the word to gather spiritual food. The gleaner gathers her portion ear by ear; her gains are little by little: so must I be content to search for single truths, if there be no greater plenty of them. Every ear helps to make a bundle, and every gospel lesson assists in making us wise unto salvation. The gleaner keeps her eyes open: if she stumbled among the stubble in a dream, she would have no load to carry home rejoicingly at eventide. I must be watchful in religious exercises lest they become unprofitable to me; I fear I have lost much already—O that I may rightly estimate my opportunities, and glean with greater diligence. The gleaner stoops for all she finds, and so must I. High spirits criticize and object, but lowly minds glean and receive benefit. A humble heart is a great help towards profitably hearing the gospel. The engrafted soul‐saving word is not received except with meekness. A stiff back makes a bad gleaner; down, master pride, thou art a vile robber, not to be endured for a moment. What the gleaner gathers she holds: if she dropped one ear to find another, the result of her day’s work would be but scant; she is as careful to retain as to obtain, and so at last her gains are great. How often do I forget all that I hear; the second truth pushes the first out of my head, and so my reading and hearing end in much ado about nothing! Do I feel duly the importance of storing up the truth? A hungry belly makes the gleaner wise; if there be no corn in her hand, there will be no bread on her table; she labours under the sense of necessity, and hence her tread is nimble and her grasp is firm; I have even a greater necessity, Lord, help me to feel it, that it may urge me onward to glean in fields which yield so plenteous a reward to diligence. 18 She carried it back into town and showed it to her mother-in-law. Ruth also gave her the roasted grain that was left over from her meal. 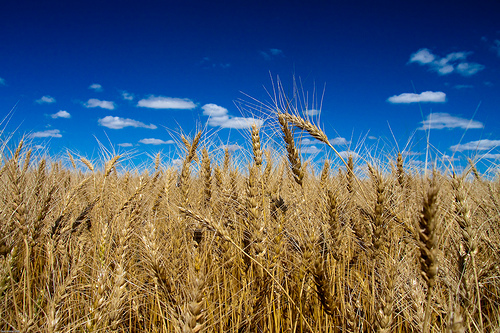 Wheat field and sky in North Dakota. 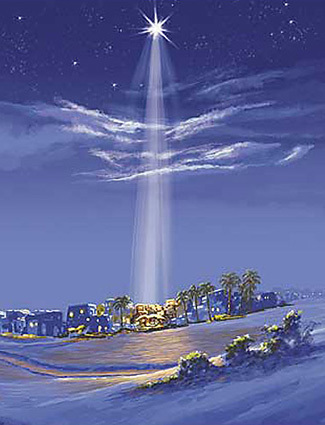 Just before Christmas — a look at some of Jesus’ ancestors! The stories in the book of Judges present several distressing pictures of the people of God doing “what was right in their own eyes” and not following the Lord. However, the book of Ruth presents a community that did what was right in God’s eyes. We see kindness and honor and faithfulness and and love. We see loyalty and obedience and joy and love. 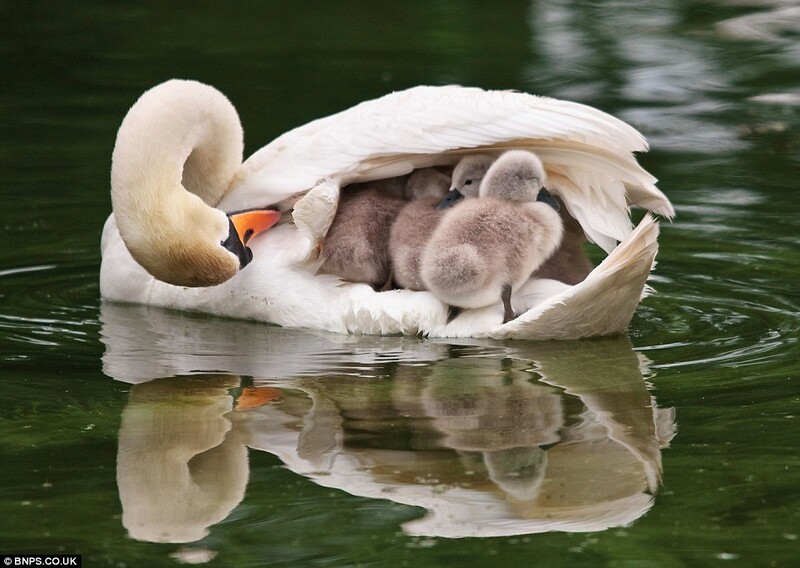 We see grace and new beginnings and love. Ruth is one of my most favorite books in the Bible. I have learned it by heart. It is a sweet story of love and redemption, and those are the best stories of all! a severe famine came upon the land. So a man from Bethlehem in Judah left his home and went to live in the country of Moab, taking his wife and two sons with him. 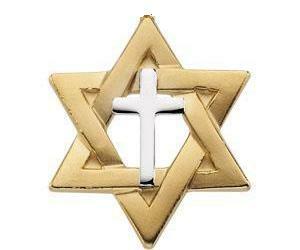 2 The man’s name was Elimelech, and his wife was Naomi. Their two sons were Mahlon and Kilion. 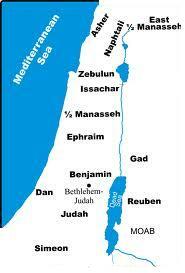 They were Ephrathites from Bethlehem in the land of Judah. And when they reached Moab, they settled there. 3 Then Elimelech died, and Naomi was left with her two sons. 4 The two sons married Moabite women. One married a woman named Orpah, and the other a woman named Ruth. 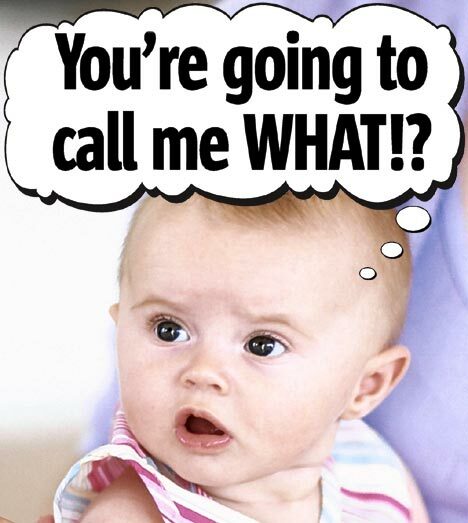 In the Old Testament, names had meanings that were thought to shape a person’s character. Sometimes in the Bible, God will even change a person’s name to reflect more closely what God has in mind for him or her. Kilion means “puny” — no wonder the sons died young! But about ten years later, 5 both Mahlon and Kilion died. This left Naomi alone, without her two sons or her husband. 6 Then Naomi heard in Moab that the Lord had blessed his people in Judah by giving them good crops again. So Naomi and her daughters-in-law got ready to leave Moab to return to her homeland. 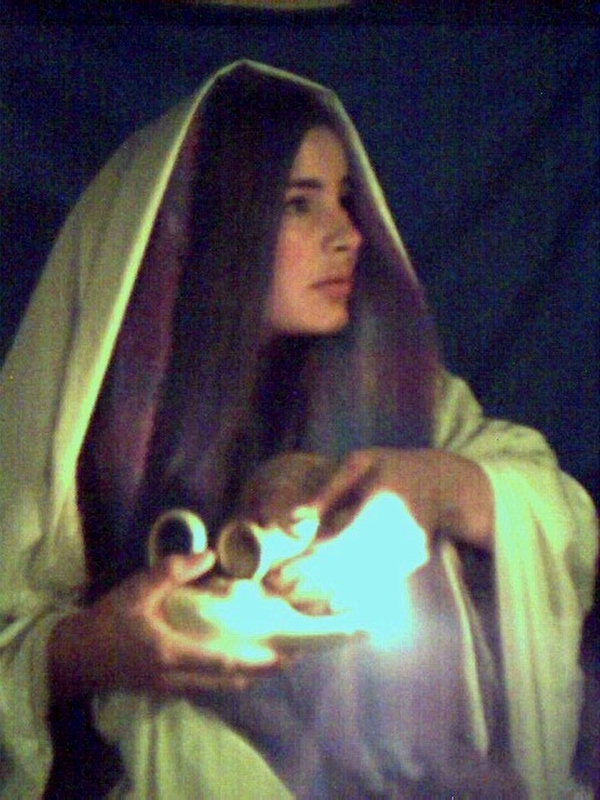 7 With her two daughters-in-law she set out from the place where she had been living, and they took the road that would lead them back to Judah. 8 But on the way, Naomi said to her two daughters-in-law, “Go back to your mothers’ homes. And may the Lord reward you for your kindness to your husbands and to me. 9 May the Lord bless you with the security of another marriage.” Then she kissed them good-bye, and they all broke down and wept. 11 But Naomi replied, “Why should you go on with me? Can I still give birth to other sons who could grow up to be your husbands? 12 No, my daughters, return to your parents’ homes, for I am too old to marry again. And even if it were possible, and I were to get married tonight and bear sons, then what? 13 Would you wait for them to grow up and refuse to marry someone else? No, of course not, my daughters! 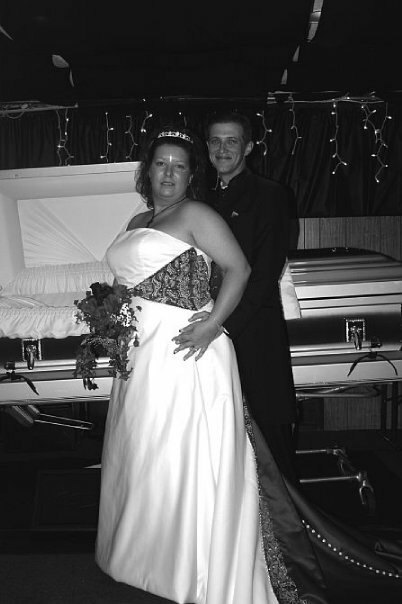 Do both the funeral and the wedding services on one day and share the reception expenses! 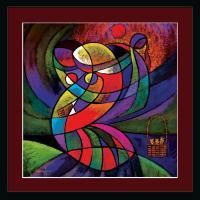 Naomi is referring to the ancient practice of Levirate marriage, in which the brother of a dead man marries the widow to care for her and to raise up a child to carry on the dead man’s name (Deuteronomy 25:5-10). If there were no brother, then the job went to the next closest male relative. These men were called “family redeemers.” This practice was an important mechanism for insuring that property was kept within the original husband’s family. And for the wife: to be a widow in the ancient world was very difficult, so this system also provided a home and a family for a woman who might otherwise be utterly bereft. 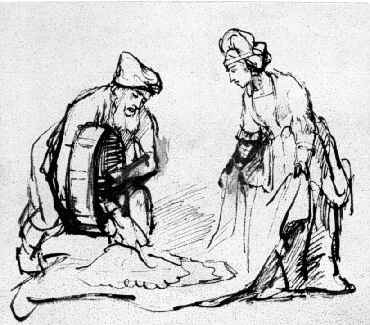 In a patriarchal society, a woman really needed a man for her livelihood, for her well-being, for her reputation. 14 And again they wept together, and Orpah kissed her mother-in-law good-bye. But Ruth clung tightly to Naomi. He redeemed us in order that the blessing given to Abraham might come to the Gentiles through Christ Jesus. Something about that family — about Naomi — caused Ruth to leave her own family and go to the Israelites and their God. What a shining witness! 18 When Naomi saw that Ruth was determined to go with her, she said nothing more. No anger find in thee, but pity and truth. Hast gained thy entrance, Virgin wise and pure. 19 So the two of them continued on their journey. When they came to Bethlehem, the entire town was excited by their arrival. “Is it really Naomi?” the women asked. 20 “Don’t call me Naomi,” she responded. “Instead, call me Mara (Mara means “bitter”),for the Almighty has made life very bitter for me. 21 I went away full, but the Lord has brought me home empty. will ever be put to shame. free me from my anguish. 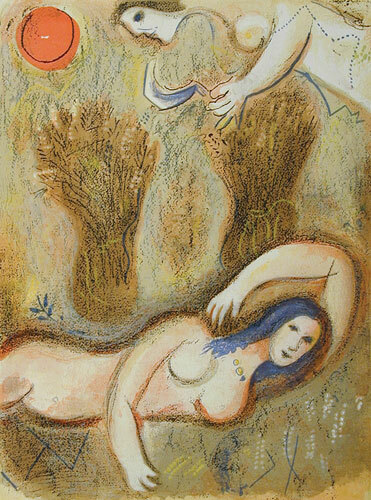 22 So Naomi returned from Moab, accompanied by her daughter-in-law Ruth, the young Moabite woman. 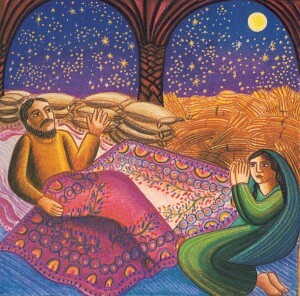 They arrived in Bethlehem in late spring, at the beginning of the barley harvest. Where thou diest, I will die. Or if you prefer something more SATB, HERE is Dan Forrest’s recent (2012) work of the same name. Wedding Day! I couldn’t find a photo of Ruth and Boaz as bride and groom! So here is one of David and me, December 27, 2003. In just a few days, it will be ten years! He is my “family redeemer,” and I thank God for him. Selah sings “God Bless the Broken Road (That Led Me Straight to You).” I post this song for Ruth and Boaz and all the ones who have found love in circuitous and sometimes difficult ways! Hear it as a musical version of Romans 8:28 — that God works ALL THINGS together for good for those who love him, and Lord, you know we love you! An old Ira Sankey song — “Under His Wings,” sung by another old gospel artist, Slim Whitman. Oh, Boaz, you have come across a prize! And “once you have found her, never let her go.” From South Pacific, “Some Enchanted Evening.” This classic song is sung by Sir Thomas Allen, with the Philharmonia Orchestra.